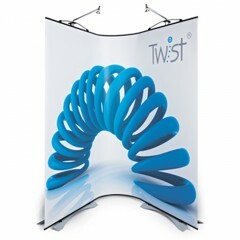 Twist gives you a portable backdrop as wide as you like that can be instantly curved to the shape you need. 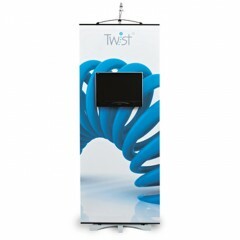 Magnetic graphics and the ability to mount an LCD screen or shelving on the uprights make Twist a very versatile and impressive portable display. £229.00 need help? contact us! £279.00 need help? contact us! £60.00 need help? contact us! £519.00 need help? contact us! £550.00 need help? contact us! 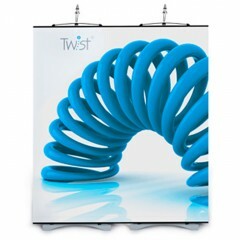 2 banner stands linked with a flexible panel. Two LED lights and an attachment for a monitor. £669.00 need help? contact us! £2,025.00 need help? contact us! 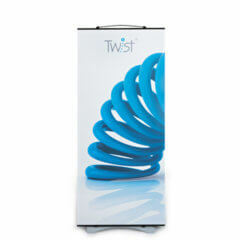 Established in 1993, Fresco sells good quality portable exhibition displays at the best possible prices. All our displays are backed up by helpful support. Our displays are all printed and finished in the UK by Fresco. Our premium quality exhibition graphics use the latest print technologies. 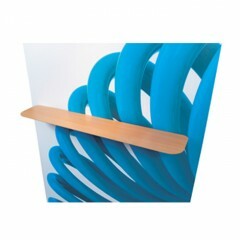 Fresco can meet the tightest deadlines on exhibition displays with our total in-house capability and wide experience. 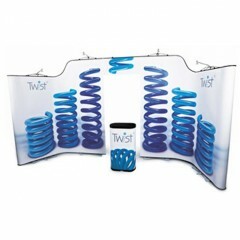 Fresco’s range of Twist displays offers solutions for any venue. And as a green and cost-effective alternative Fresco offers a full re-graphic service. 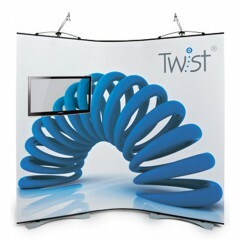 We can fit a new print into almost any type of Twist, almost any kind of portable display come to that.